On Episode 36 of PTBOCanada, we take a tour of the Hunter Street studio of artist Alex Bierk. Last winter, after hearing from Councillor Dean Pappas that there is an appetite for artistic bike racks in downtown Peterborough, staff at “City Welding” got to work creating some unique designs. The resulting prototypes impressed City staff, who included some of the decorative racks as part of the regular annual order. Now, these custom bike racks are adorning City Hall, the sidewalk in front of Spa Euphoria and the sidewalk on Charlotte Street just west of George Street. “I’ve had this idea for a while and it is great to see it come to fruition, and even better that these bike racks are designed and manufactured in Peterborough," says Councillor Pappas. 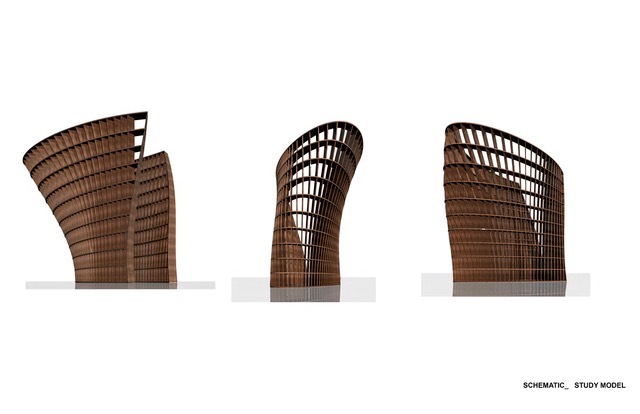 There are three designs so far: one depicting Market Hall, one of the Lift Lock and one of the Quaker building. This winter, City Welding plans to create additional designs. Fun decorative rocks have started appearing along the trails at the Trent University Nature Areas. Have you seen them? Discovered more? Let us know! To celebrate the enormous contribution that Canada's indigenous people have made to this great land, the CNE commissioned local Ojibway artist Kris Nahrgang to create a Unity Pole this year. "The pole was created to offer a story of Unity, and healing for all Canadians, and has been created to include a story of hope for relationships for all of us," says Nahrgang. "It is hand carved, and painted in bright Woodland style. It will represent a great vision of togetherness for all who come to view it." "The Unity Pole has become a huge attraction for the CNE, and has taken on a life of its own," Nahrgang tells PTBOCanada. "The pole for me was a way to show the beauty of indigenous art, and the stories of my Mississauga Ojibway Heritage. My goal was to create a piece of art that spoke to the country, and now the world, as to the need to educate ourselves about indigenous people, and our Culture." Nahrgang adds: "I felt that this was a great opportunity to offer a good story, of inclusion, harmony and balance that needs to be pursued between all peoples in this beautiful Country. The impact of the pole has been viral, and its story has gone worldwide. It has changed my life and taken me to a new realm of the art world and offered a great respect for my art, and to myself as an artist." 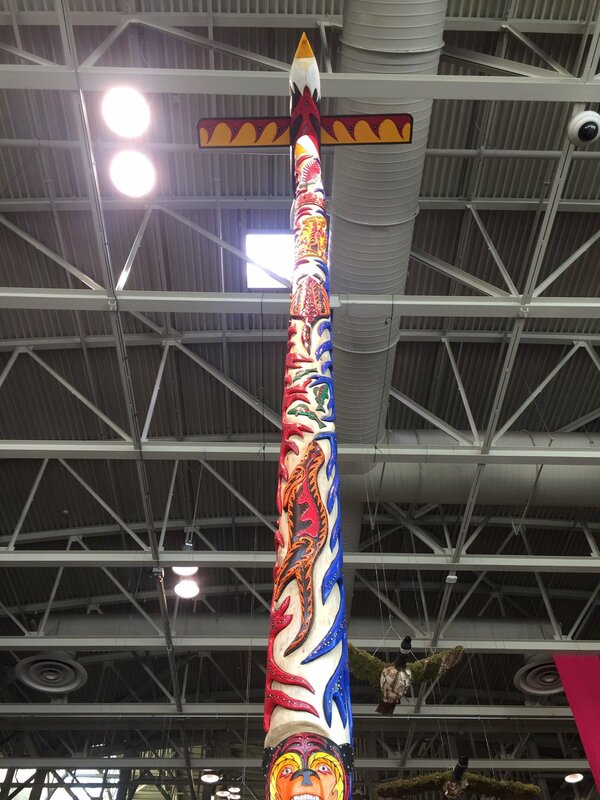 The Unity Pole is on display at the Heritage Court in the Enercare Centre at the CNE until September 4th. The plan after that, Nahrgang tells us, is for it to be set up in a permanent location on the CNE grounds. Peterborough history lovers have a chance to get one of the most iconic pieces of local memorabilia, as the famous Pig's Ear sign is going up for auction. The Piggy closed April 22nd after 150 years in Peterborough, and many items from inside the tavern have been auctioned off. Now, the coveted sign is up for grabs, starting Saturday, along with other antique and modern furnishings from the watering hole in an auction from Russland Auctioneers. So for past and present revelers of “The Piggy”, this will be your chance to own the piece of its storied history. Go here for more. As part of Canada 150th celebrations in Peterborough, Electric City Culture Council (EC3) and Artspace will be turning Hunter St. into a stage for New Visions/Old Land, an art exhibition featuring four media art projects tucked into stores, office fronts, alleyways and tents. To celebrate Canada’s 150th, EC3 and Artspace asked artists in Peterborough to reimagine what “Canada” means, to offer new visions of what the idea of Canada could or should be. Who are we? What does it mean to be Canadian? What is the role of the land and the landscape in shaping this definition? How can we trace an outline of the future in the fragments of the past? New Visions/Old Land is about recasting the past, inventing alternative futures. EC3 coordinated the project and Artspace donated the equipment and facilities. On Friday, June 30th, Hunter Street between George and Alymer streets will be open to pedestrians only. Four artists have created original works in film or video that will be presented between George Street and Sam’s Deli running 10 a.m. to 4 p.m. Filmmaker and Trent University Professor Kelly Egan will curate the show. Each installation will have a live sound/music component. Interested in making your own film? Come to the camera-less film production table, where you can scratch, paint, stamp, and draw directly on 16mm film. Once the film is finished (and dried), watch your own creation projected live on Hunter Street. Learn about the history of moving images—and the differences between video and celluloid—through 16mm camera-less filmmaking. Participants of all ages are welcome, including children. The Canada’s 150th Anniversary Celebrations Committee has announced four student art exhibits that will be displayed publicly during the City’s four-day celebration running June 29th to July 2nd. The Committee, in partnership with the Peterborough Victoria Northumberland and Clarington Catholic District School Board, has sponsored Canada themed art projects at a dozen schools across Peterborough. The Art School of Peterborough conceptualized the exhibits and has been facilitating the art projects in local schools over the last several months. Students are busy putting the final touches on their work. Hundreds of unique Canada-themed pieces have been created and will be shown in local schools, while a selection of the works will form four public art exhibits in highly visible areas throughout Peterborough’s 150th celebrations. Date: Running Thursday, June 29 – Sunday, July 2. Summary: Students from St. Catherine CES have created and colourfully painted 150 clay flowers representing provincial flowers from across Canada. Displayed together, the flowers make a powerful statement about the beauty that unites our provinces coast-to-coast. Summary: Students from St. Alphonsus CES, St. Paul CES Peterborough and Chemong Public School have created Canada-themed Claymation videos that will be projected on the Charlotte Mews tunnel throughout the four days of celebrations. Summary: Students from St. Anne CES have created large, wooden puzzle pieces that can be assembled to create the Canada 150th logo in this interactive exhibit. Location: Along the path and stairs that connect the Peterborough Museum and Archives to the Lift Lock grounds. Peterborough-based makeup and body painting business Faces by 2 has a unique service, offering belly painting photos for pregnant women. Belly painting is an artistic and fun way to create a joyful memory of a pregnancy, and is completely safe to do the owners tell PTBOCanada as long as the right paints are used. "We only use water based paints that are specifically for skin (face and body) and that are FDA approved," Faces by 2 owners/entrepreneurs Rosie and Vange tell PTBOCanada. "They are safe for mom and baby, and can be washed off with soap and water. Every mom that has had their belly painted with us has loved it!" Rosie and Vange, both moms themselves, tell PTBOCanada that the 8th month of pregnancy is the ideal time to paint a belly, as by then the women has a nice round belly. "The process starts by choosing a theme and drafting a design that mom agrees to," they say. "It takes about two hours to complete a design. It is done comfortably on a reclining chair giving mom a few brakes in between, all of this followed by a photo session. The paint stays on until mom decides to wash it off." "We love doing belly painting—especially for first time moms," Rosie and Vange tell PTBOCanada. "Pregnancy is sometimes not a fun process to endure, but we feel that belly painting is a joyful thing to do. Moms get to show off their bellies in an artistic way. Plus, the brushes feel nice on the skin and it makes the baby move! At the end of the painting and photoshoot experience, moms feel happy and beautiful." Visit Faces by 2 on Facebook and on their website to learn more about their belly painting and other services. Local female artists are gathering every Friday throughout the month of June at the Silver Bean Café in support of YWCA Peterborough Haliburton for the "Bean Up" Series. This great initiative was the brainchild of well known local artist Brianna Gosselin, who teamed up with the YWCA Peterborough Haliburton and the Silver Bean Café to hatch "Bean Ups" that feature her and other local artists. Featured Bean Up artists in June include Lucky Jackson on Friday, June 3rd; Brianna Gosselin on Friday, June 10; Silvia Ferreri on Friday, June 17th; and Lisa Martini-Dunk on Friday, June 24th. The featured artists will be at the Silver Bean on their scheduled Friday from 10 am to 11 am creating live art for the public to view, and a piece of their art will be on display—and available to win—for those who sign up as a YWCA Monthly Donor during the event. The YWCA will be present and providing information to the public about the vital services they offer in the community for women and kids fleeing domestic violence.